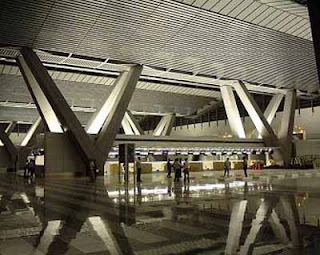 Wow, finally i heard on the news that the NAIA (Ninoy Aquino International Airport) Terminal 3, will soon open later at the end of this month. If you still remember this is the very controversial issue way back 10 years ago and finally I think the issue has been ironed out. They show footages of the new airport on TV and oh boy it was so huge high tech and world class already. There are many booths now esp. in the immigration section and the facilities and decorations can now be compared to major airports worldwide. It is about time to open it bec. the old airport is so small, ugly and dirty already. Although the NAIA3 is opening this end of the month, it is open only for domestic flights since it will be a test opening. Tourists and balikbayans will not be proud of our new airport. I myself could not wait to pack my luggage again and go back to Sydney so I can see the place and experience the service that the new airport will be offering to travelers.